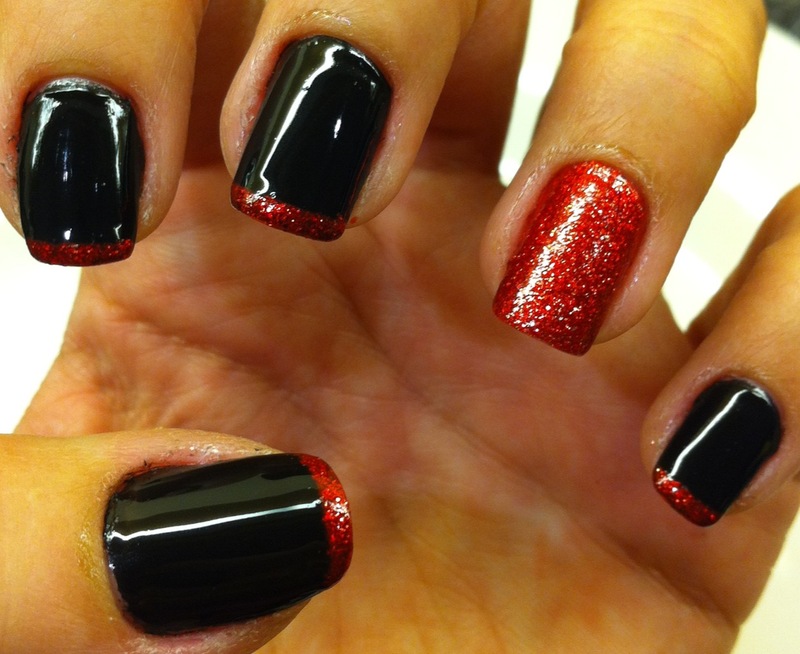 Black and red, red and black… I cannot get enough. Definitely my favourite colours. This week I had a wedding to go to, and was wearing a red (surprise!) dress, so decided to match my nails. I used Colorama Black as base on all fingers except the ring one, where I applied the gorgeous Barry M glitter in red (seen in full glory here) as an accent. 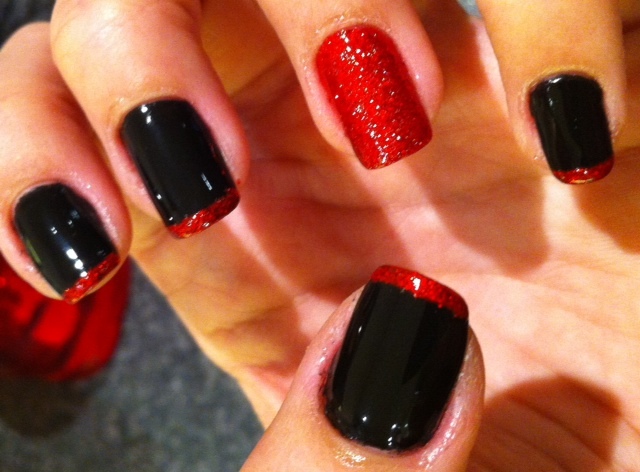 I used the same red to do the French mani on the black ones. I love it, really. The glitter tips just looked so pretty (the Barry M glitter polish is amazing! ), and the black was so glossy (Seche Vite topcoat used!). Application was fine; two coats of each polish were applied. Durability was good; by the 6th day the glitter started to wear off from the tips, but a good run nevertheless. Love it, what a great colour combo!